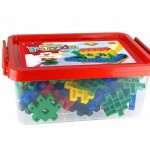 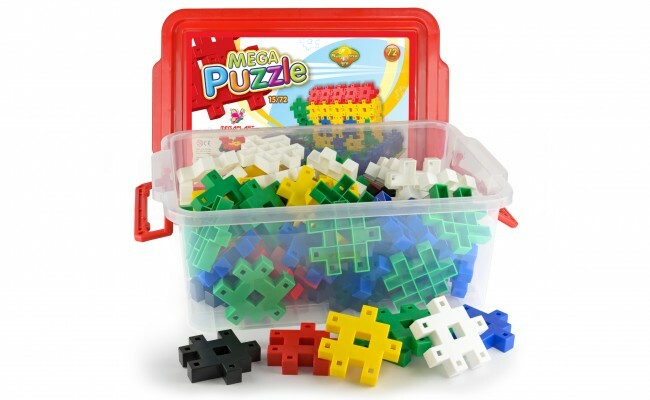 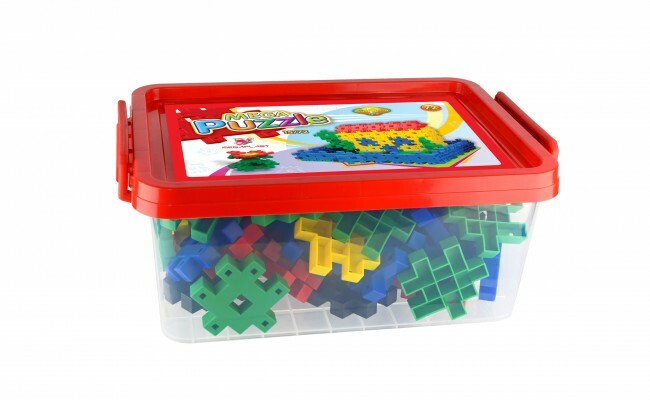 Mega Puzzle are constructive educational game. 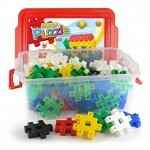 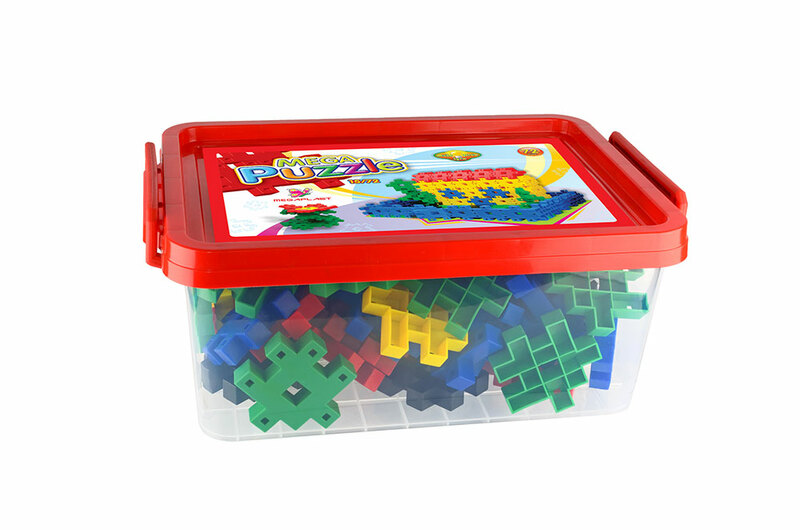 The kit consists of a plastic box (packaging) and 72 plastic puzzle that are interconnected by folding latitude, longitude and altitude. 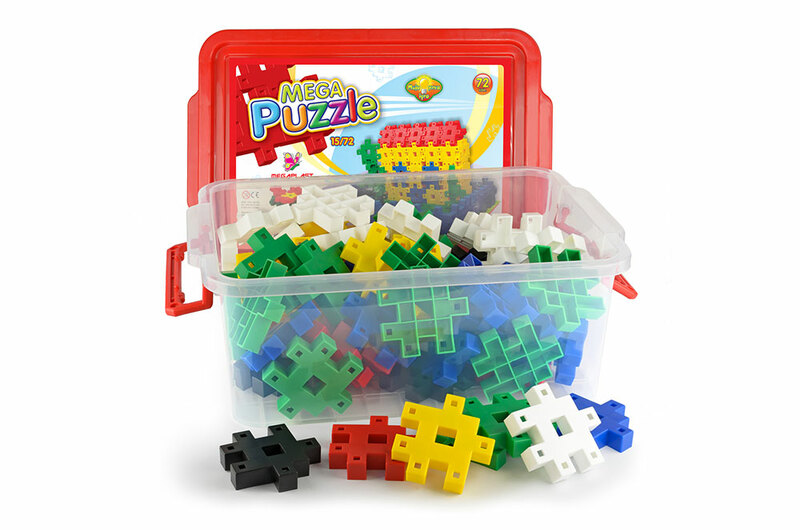 Puzzles come in six different colors.